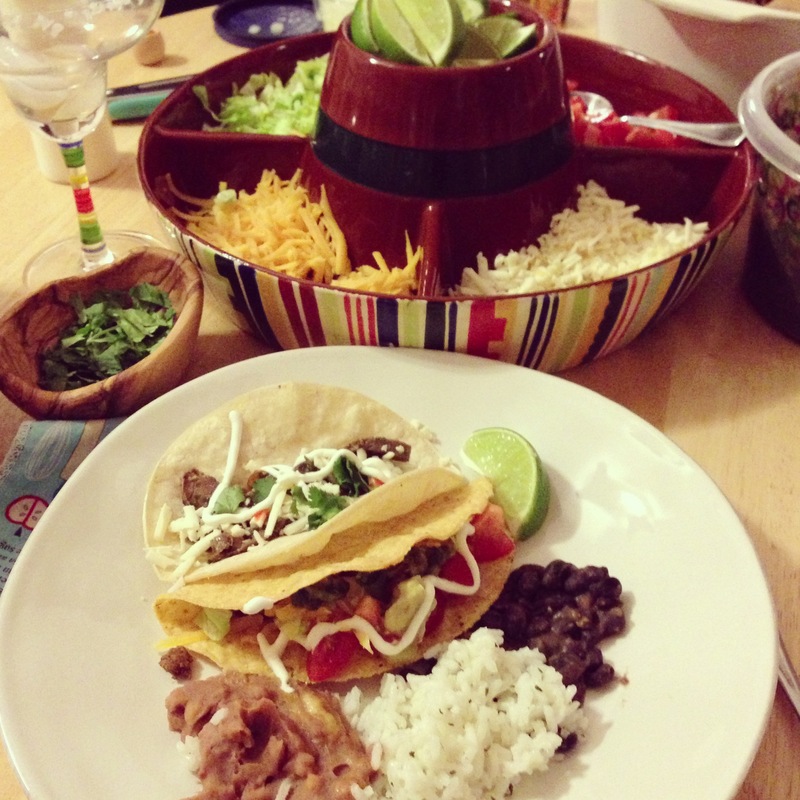 Over the weekend, our friends from the farm headed into the city for “Taco Night” at our place. We wanted something simple (Mark has been traveling frequently) so we wouldn’t have to think about the food, but instead just hang out and sip margaritas. We served up both beef and venison versions — and the venison was such a hit that it went fast, leaving us with plenty of leftover beef taco meat. That’s where Jalawhoppers come in. Pre-heat the oven to 350 degrees. 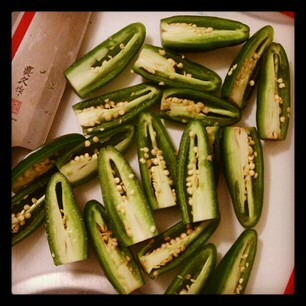 Cut the stems off of the jalapenos, and slice them lengthwise. Using a spoon, scoop out the seeds and insides. Line them up in an oven safe baking dish, then fill each one with your taco meat (you could also use chicken) and top them with cheese. 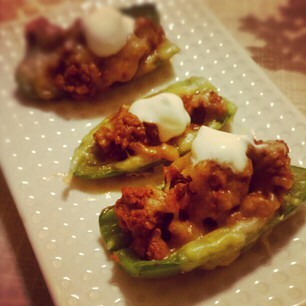 Add a dollop sour cream and serve them up with a smile. 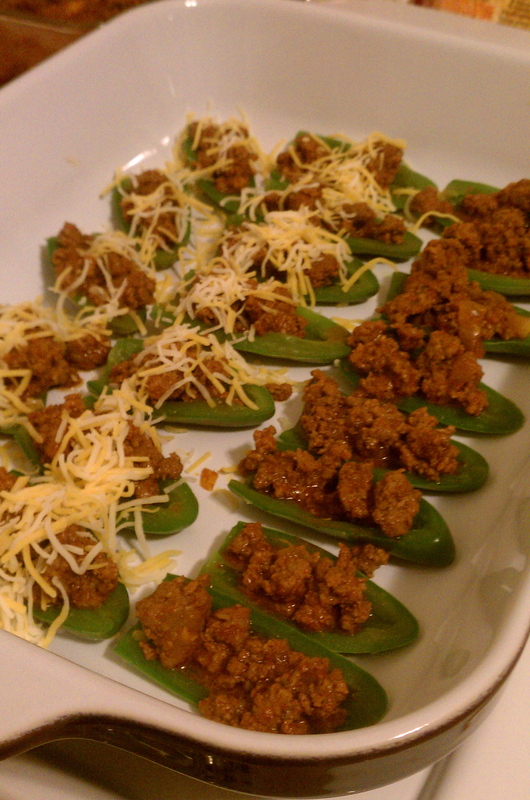 A super simple appetizer or weeknight meal idea to use up your leftovers. 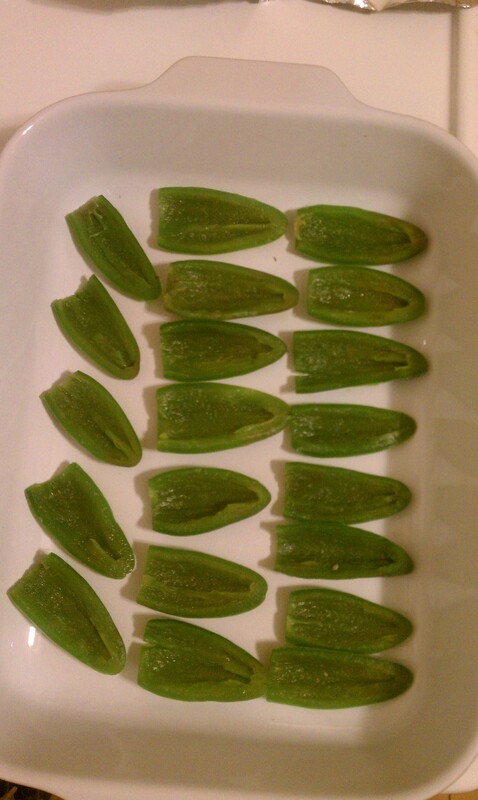 *Note: if you’d like softer jalapenos, you can do a quick “flash bath” in boiling water after cleaning out the insides, and before filling them with meat. If you like the peppers more firm, you can skip that step. Posted on February 4, 2013 by Sarah @ Celiac in the City •	This entry was posted in Recipes: let's eat! 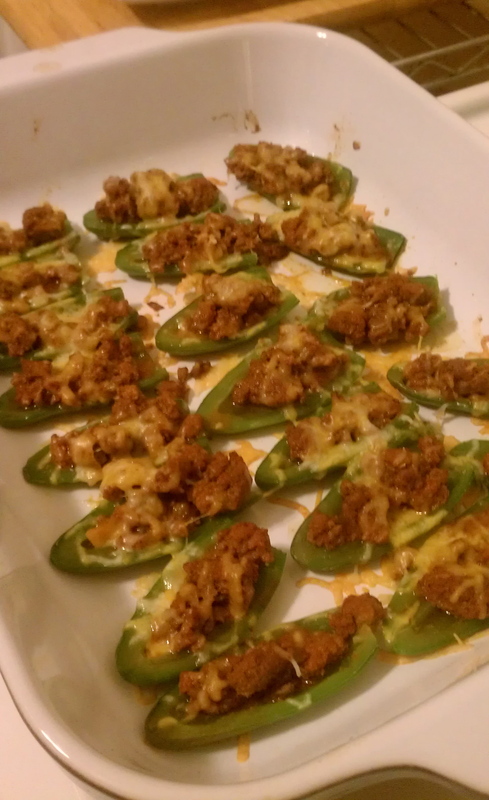 and tagged gluten free appetizer, Jalawhoppers recipe. Bookmark the permalink.